LONDON: Reham Khan has rejected as “malicious and false” claims that she had banned some servants from entering the Banigala mansion. She told this correspondent that such allegations had nothing to do with the facts. When asked if she organised dance classes in the Banigala mansion which she shared with her former husband Imran Khan, Reham Khan said that there was no truth in these allegations and it was “unfortunate” that allegations and claims are made without any evidence and verification of facts. “No one in the house ever took dance classes,” said Reham Khan. 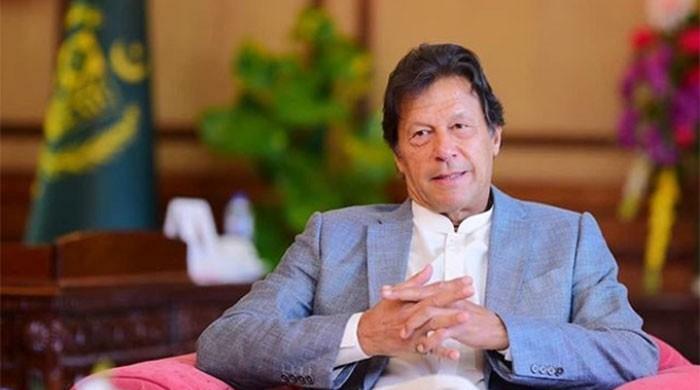 The former BBC journalist announced on Saturday that she has signed her divorce papers, officially ending her marriage with Pakistan Tehreek-e-Insaf Chairman Imran Khan citing a “breakdown in relationship”, but the Mail on Sunday claimed that Imran Khan divorced her through a txt message followed by a brief email. The paper claimed that the text message and email was received by Reham Khan immediately after her arrival in Birmingham on October 30 and she also received a call from close aide of Imran Khan, who confirmed the divorce. The friend rejected the claims made in a British newspaper that Reham had banned Imran Khan’s dogs from entering the couple’s Banigala mansion which the couple shared until a week ago when they announced their divorce. The friend told Geo News that claims made in the Mail on Sunday were not correct and “facts were completely different”. The Mail on Sunday claimed that Reham Khan had banned Imran Khan’s dogs from the house but sources close to Reham and Imran have confirmed that in total there were 5 dogs in the house and “all were maintained by Reham Khan”. It has been established that Imran and Reham had shared love of dogs and both knew about dogs very well and took care of them very well. 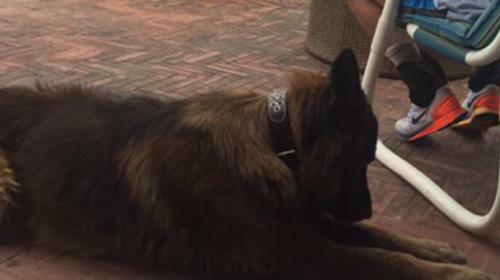 Sources said that Maximus, the Belgian shepherd, was bought by Reham Khan in England and taken to Islamabad. PTI sources have confirmed that it’s Maximus which has been seen in all interviews and photos of Imran and Reham in the last 10 months. On 24th October, Reham Khan had released a picture of Imran Khan reading a newspaper. The PTI source said that Maximus can be seen in the picture adding that the same picture has been used by several media outlets. The source revealed the Maximus that continued to sleep in the couple’s bedroom was Imran Khan’s “favourite”. The source confided: “Imran Khan’s dog became more attached to Reham Khan and was never shunned or banned as falsely reported. There were other dogs in the house and they would come and go in the house as they pleased. Reham Khan in a detailed statement on Saturday condemned the media for acting unbecomingly. “The quest for ratings and misogynistic witch hunt is shameful,” she maintained. Meanwhile, Reham Khan’s belongings were removed from the Banigala mansion on Sunday evening in a highly clinical and organised operation - a week after Imran Khan and Reham went public about their heart-breaking public split. Many speculative reports were published about the removal of luggage of Reham Khan from the home she shared with her former cricket star husband but for the first time on Sunday her luggage was removed - further sealing the end of Imran Khan’s marriage to Reham Khan. A trusted PTI source confirmed to Geo News that “all belongings of Reham Khan had been removed from Banigala and there’s nothing left behind as all the traces had gone. Maximus, the Belgian shepherd, had been taken away, too. Geo News has said it on authority that Imran Khan’s four sisters and nephews arrived on Saturday in Banigala and executed the “clean-up operation”. According to an arrangement, Reham Khan’s nephew Yousuf Khan came to receive the luggage of her aunt. Yousuf Khan was present at the nikah ceremony of the couple and had been pictured with Imran Khan and Reham on several occasions. A source close to Reham Khan also confirmed that the luggage had been taken away and everything happened as per a plan. Geo News exclusively broke the news on Sunday that sources said that Maximus, the Belgian shepherd, was originally bought by Reham Khan in England and taken to Banigala. The PTI source confirmed: “Maximus was handed over to Yousuf Khan as he was acting on behalf of Reham Khan,” said the well placed source. It’s understood that both the sides exchanged lists and notes prior to the “clean-up” and “handing over” operation and everything was done amicably. The luggage removed included furniture items, suitcases, carpets, clothes, papers, jewellery items, paintings, shoes, belongings of Reham Khan’s children and even cutlery.